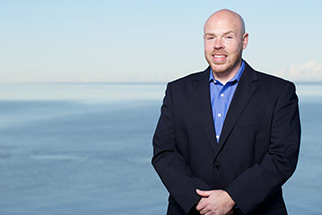 Director Dr. Gary Ferguson II is originally from Sand Point, Alaska. He is a graduate of Multnomah University with a bachelors of science degree in biblical education and a doctorate in naturopathic medicine from the National College of Natural Medicine. 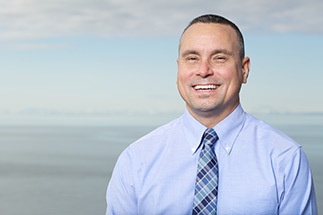 Dr. Gary serves on The Aleut Corporation, Alaska Food Policy Council, American Lung Association in Alaska Leadership Council, Alaska Tobacco Control Alliance Steering Committee and American Diabetes Association American Indian/Alaska Native Advocacy Committee. 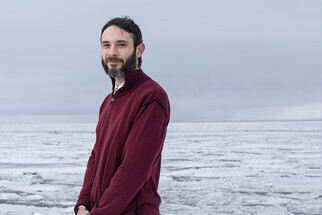 He has served as the board director for Aleutians East Borough School District, Access Alaska and the Alaska Association of Naturopathic Physicians. Director Kathy (Dushkin) Griesbaum is originally from Nikolski, Alaska. Kathy graduated from Mt. Edgecumbe and attended the University of Anchorage and Fairbanks. Kathy has three sons and currently works as program coordinator for the Southcentral Foundation in the Maternal Child Health Department. She worked for The Aleut Corporation for six years as executive secretary and later as Director of Shareholder Affairs. She was a small business owner in Anchorage for five years. Director Millie McKeown is from King Cove, Alaska. Millie is the cultural heritage director for the Aleutian Pribilof Island Association and administers language preservation programs, the Urban Unangax Culture Camp and the Aleut Heritage Library and Archive. Director Jessica Borenin is originally from Akutan, Alaska. Jessica has been on The Aleut Foundation Board of Directors since 2007. She has worked at the Aleutian Pribilof Islands Association, Inc. since 2002 and is currently the administrative assistant for the Administration Department. Jessica supports TAF’s mission and encourages further education and cultural preservation of our people. Director Patricia Lekanoff-Gregory lives in Unalaska, Alaska with her husband Dave. 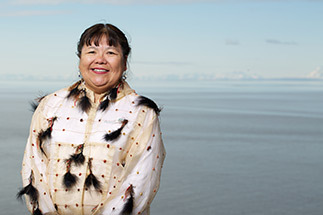 Patricia has served on many boards including her tribal council, the local village corporation and the Aleutian Pribilof Islands Association, Inc. Patricia currently serves on the board for The Aleut Corporation, TASSC and Aleut International Association. Director Michael Jenks’ family is originally from Atka, Alaska. Michael currently works as improvement specialist for the Southcentral Foundation and has worked for many years in various roles. He is also a realtor in Anchorage, manager of his own personal investment properties and recently completed his master of business administration. Michael served in the military and was a combat engineer in the United States Marine Corps. 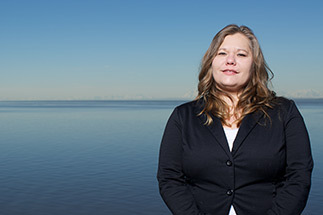 Executive director Cynthia Lind is originally from St. George Island, Alaska and currently resides in Anchorage. 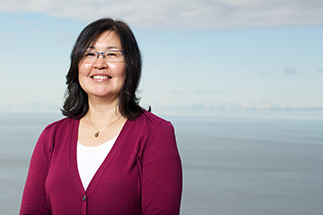 Cynthia began her career working for Aleut companies: St. George Tanaq Corporation, St. George Trust, Baidarka Corporation, SMI International (formerly Space Mark, Inc.), and Aleut Northwest Services. 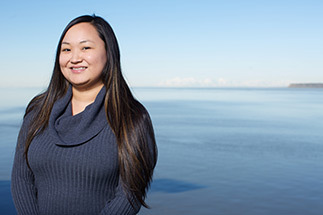 Cynthia was the first Aleut shareholder to go through the Aleut Management Services Mentorship Program. After completing the program, she became the president/chief operating officer of the Aleut Northwest Services and held that position until moving to The Aleut Foundation in 2009. 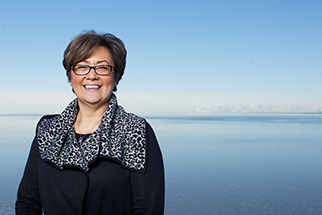 She has served on the board for the St. George Tanaq Corporation, the St. George Chadux Corporation and the Tanaq Foundation. She has also served as the regional resource council member for the National Center for Native American Indian Economic Development and was president and secretary/treasurer for the Rocky Mountain Indian Chamber of Commerce. She was a member of the Anchorage East Rotary, the YMCA Board and is active with the Russian Orthodox Church. Luke was born in Juneau to Linwood and Maria (Philemonof) Stowe and grew up in Anchorage. He holds a Bachelor of Business Administration in Economics and Associate of Applied Science degrees in Automotive Technology and Heavy-Duty Transportation and Equipment from the University of Alaska Anchorage. Luke is a graduate of the TDX Corporation ASSET Management Training program and serves as Vice President on the TDX board of directors. A lifelong learner, he will pursue an MBA beginning this fall.